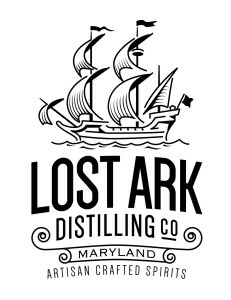 Howard County, MD, March 20, 2015: Lost Ark Distilling, Co. is celebrating a big move forward as the company has signed a lease securing their location and is set to begin production in Summer 2015. The owners, Brad Blackwell and Andy Debenham have been planning the distillery for over a year. After working with the Howard County Economic Development Authority and receiving written approval from the Howard County Zoning and Planning department, the distillery now has plans to proceed. Lost Ark Distilling, Co. will be the first distillery in Howard County and one of the first distilleries in the state of Maryland since the end of Prohibition. Lost Ark will launch with a product offering of a mixed variety of rums and whiskeys. The owners are embracing the Farm to Table and Buy Local movement with the crafting of their spirits. Each product offering will be manufactured with corn and grains grown on Maryland farms. The two owners say that a majority of their grains will be purchased from Howard County farms. “Bringing in fresh grain grown locally and hand crafting it into something special and unique is what this is all about”, said Brad Blackwell, Co-Owner of Lost Ark. “It’s the special touch, the attention to detail, and the passion of our craft that we feel will make a unique and flavorful spirit that can only be found right here in Central Maryland”. They plan to host tours and tastings upon opening later in the year. The name was chosen as a symbol of the beginnings of our Free State, Maryland. The first settlers from Europe arrived in Maryland in 1634. Their voyage started from London, England four months earlier in November 1633. They traveled on two ships, the Ark and the Dove. Their goal, ordered by Lord Baltimore, was to setup the first proprietary colony in America. The passengers were carefully chosen because of their skills and abilities to survive. Everything would have to be made, grown, and repaired by hand. Their livelihood hinged on their ability to adapt and craft a new life, with their own hands and with the gifts given to them from the Maryland countryside and the Chesapeake Bay. We believe the Ark may have been lost, but the spirit and emotion of the hard working first settlers is still alive in Maryland today. “Today, we believe these skills, the ability to hand craft whatever may be needed, have been lost,” said owner, Andy Debenham. 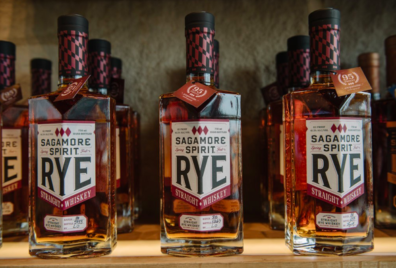 “It’s our goal at Lost Ark to get back to those roots and embrace the mindset and emotion of those first settlers.” The two say they plan to craft unique and creative craft spirits, and do so from the Maryland farmland, just like the first settlers would have.